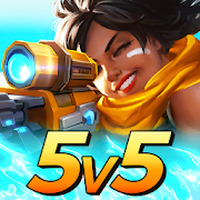 "Get the best puzzles with Marvel characters"
Game Goal: Combine figures to perform special attacks and help your heroes defeat various enemies. How to Play: Try to match three or more figures of the same color to use each hero's attacks and to get energy points to make the attacks more powerful. Game play: The game features a story written by Marvel writers. Recruit heroes from The Avengers, Galaxy Guardians, Spider-Man, and more. Developer: D3Publisher is based in Japan	- Developer recommended by Google Play. Installation requirements: A minimum of 84M of free memory space and Android 2.3 or higher. Great graphics and audio quality. Many characters to play with. It features online tournaments that allow you to challenge other players. Try to get as many points as possible to unlock new characters or improve the skills of those who are already on your team. The game uses the popular system of matching combinations well known by Android users. 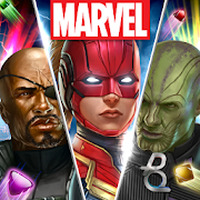 Do you like Marvel Puzzle Quest Dark Reign?